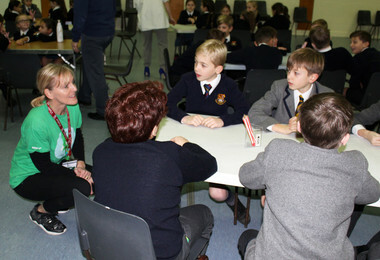 In January, the NSPCC visited the Prep School to deliver their KS2 Speak out. Stay safe. assembly and workshops, in order to share information with pupils about how they can keep themselves safe from harm and get help if they have any worries. It was a very worthwhile and empowering experience for both pupils and teachers and I was impressed with how the pupils took part in the discussions with maturity and thought. 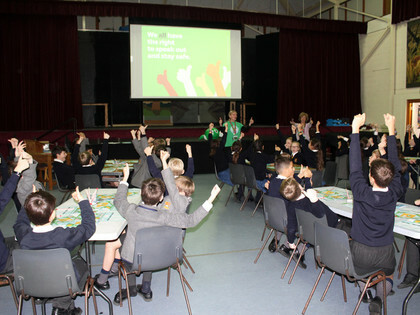 Using the NSPCC’s friendly mascot, Buddy, pupils were taught how to deal with their worries by talking to trusted adults. They were also introduced to Childline and the work they do to support young people. Posters have now gone up in every form room to reinforce the messages given. During the workshops for Form One and Two, pupils discussed a range of scenarios exploring whether they were ‘ok’, ‘never ok’ or ‘sometimes ok’. For example, pupils explored whether a child being touched or watched when they did not want to be was ok. Reasons were given by pupils to explain that it was sometimes ok, if it was to keep them safe or if a doctor, for example, needed to treat them. Pupils also learnt when it was not ok and that talking to a trusted adult is always the best way to seek help. Pupils then watched an animated video about a child who was suffering from neglect and discussed how the child felt in this situation, and how they could be helped by those around him. By phoning Childline and then talking to a trusted adult, the child in the video received the help they needed. The session ended with a clear message that ‘we all have the right to speak out and stay safe’. 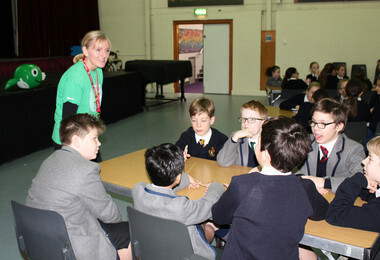 Trained NSPCC volunteers delivered their message in a very supportive, friendly and helpful way and I believe that pupils benefitted greatly from the visits. Eva and Wanatsa were so inspired by the NSPCC workshops that they decided to make a fantastic poster about Childline. Thank you girls! If parents would like to know more about the NSPCC’s work, or take a look at the wide range of information and advice which is available for parents and carers, please visit their website.